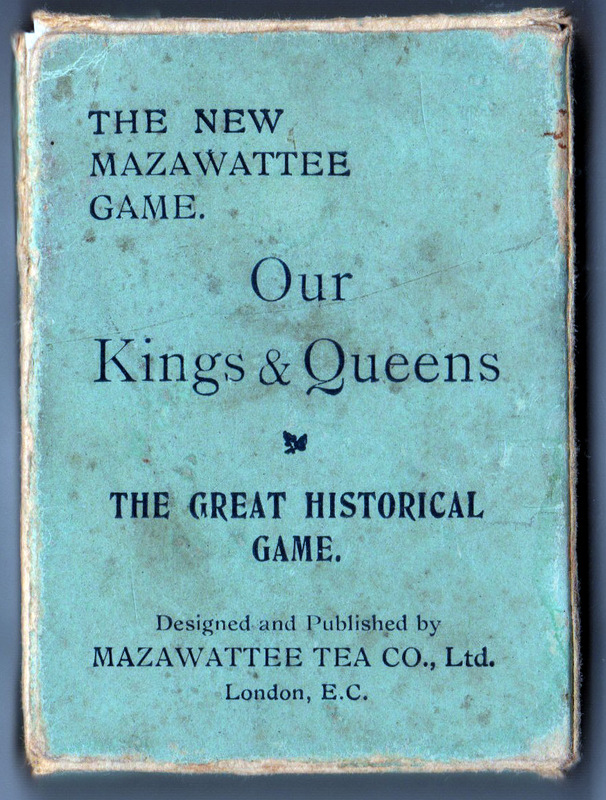 The Great Historical Game designed and published by Mazawattee Tea Co., Ltd, London, E.C. 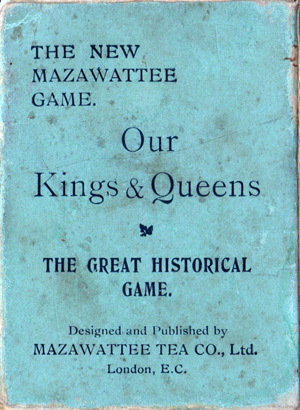 The Mazawattee Tea Co’s promotional card game “Our Kings and Queens” was first published in around 1901 or soon after and depicts British monarchs from William I to Edward VII. 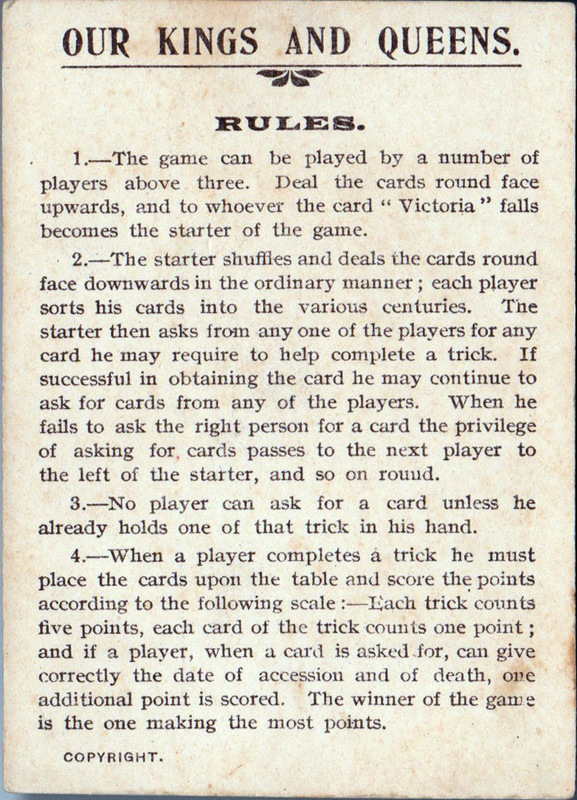 There were probably tokens packed with the tea and customers collected them for a pack of this game, which has an obvious educational benefit. The aim of the game is to collect ‘families’ of monarchs. At the same time, the backs of the cards advertise tea, cocoa and chocolate drinks. The set contains 38 cards + the Rules.